Each, 2.25"W x .75"D x 10.5"T.
24-kt. 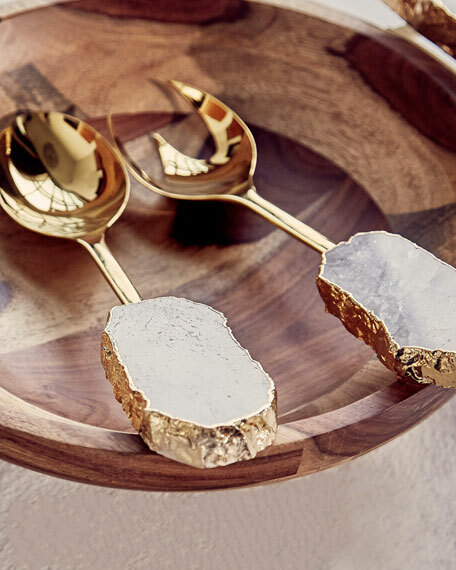 gold-plated stainless steel implements. Size and shape of quartz crystals will vary.